Myanmar has recently been the focus of investors, who have referred to the country as the final paradise for foreign investment entry. But its law adheres to the “Indian Code” that was transplanted during the British colonial era. For the future law reform, comprehensive systemization work is necessary. The contract laws around the world are struggling towards the same direction of contemporary modifications, while burdened with their different traditions, in the context of correcting the contractual asymmetry and making contractual freedom effective. 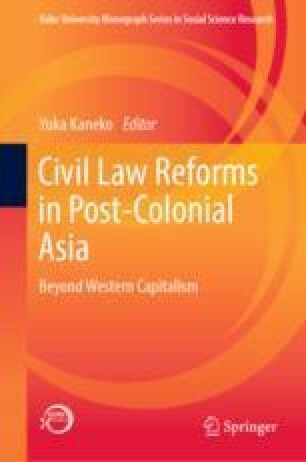 Myanmar’s future contract law reform must also accept the doctrines which are the consummation of current international trends, but it should be formed within the Myanmar’s own terminology of jurisprudence. Yuka Kaneko—Professor, Law and Development Program; Graduate School of International Cooperation Studies; Kobe University, Japan; LL.B. Tokyo University; LL.M., Georgetown University; LL.D. Kyushu University.